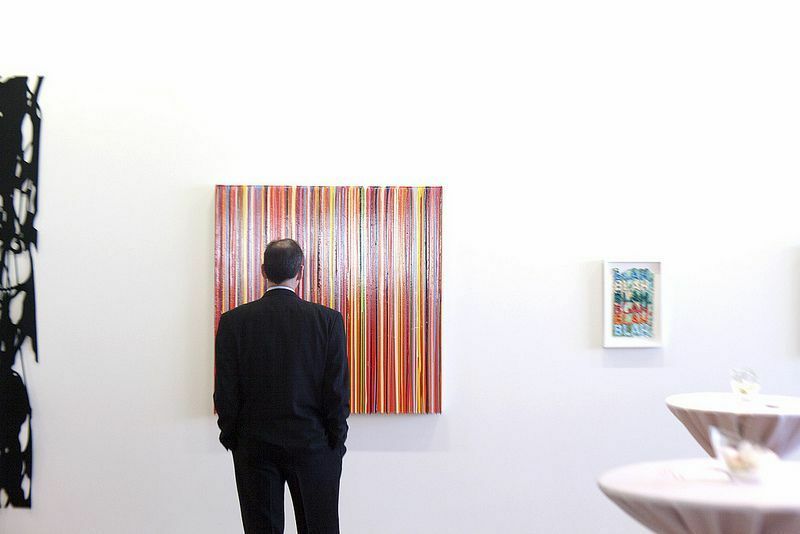 The Cleve Carney Art Gallery offers year-round visual art exhibitions showcasing art by regional, national and international artists. Our goal is to encourage the growth and understanding of contemporary art through exhibitions and educational programming that cultivates a variety of perspectives. The Cleve Carney Art Gallery is named in honor of one of Glen Ellyn’s most revered philanthropists, the late Cleve Carney, a contemporary art collector and supporter of the arts. Cleve Carney provided a significant legacy gift to establish the Cleve Carney Art Gallery, a one-story, 1,850-square-foot addition on the west side of the McAninch Arts Center. He also donated artworks from his own extensive contemporary art collection, which are prominently displayed throughout the College campus along with other pieces in the College’s Permanent Art Collection. Learn more about Cleve Carney here. Prior to the construction of the Cleve Carney Gallery in 2014 the College of DuPage's art gallery was the Gahlberg Gallery. You can access the archive of exhibitions from the Gahlberg Gallery HERE. Monday through Thursday 11am to 7pm & Saturday 11am to 3pm or by appointment. Open one hour prior to events in the Belushi Performance Hall and during intermission. The Gallery is located in the McAninch Arts Center at the College of DuPage. Directions: Take 1-88w to 355n, exit on route 38w drive 1 mile, turn left on Park Blvd, drive 1 mile, turn right on Fawell Blvd. The MAC will be on your left. The gallery is located on the west side of the MAC.